The supply reduction objectives of the policy and legislative frameworks outlined above are addressed through a range of different activities and initiatives, which target different aspects of drug markets that may be grouped into three broad categories. First are those that directly target the drug markets and those engaged in production and supply activities. The second category target the facilitators of drug supply activities, for example the large sums of money and the professionals who assist in various ways. Finally, other activities seek to address those factors that underpin engagement in drug production and trafficking, the poverty and other conditions that make people participate in production and dealing as a survival strategy, and the weak and unstable states that facilitate criminal activities. Conceptualising responses at the EU and international levels on the basis of these categories together with the main types of response, i.e. coordination, capacity building and information sharing, provides a useful way of getting an overview of activity. The resulting typology is set out in the matrix in Table A.3 in Annex, with some examples of international activities provided without aiming at an exhaustive list. Some of the main programmes are described in more detail below to provide some insight into the wide range of initiatives being undertaken to tackle drugs in Europe. The international nature of drug trafficking and its widespread ramifications means there are many organisations at national and international levels addressing the problem, and some examples demonstrating the range of programmes and international organisations involved are described here. Effective coordination mechanisms for the EU and its Member States and the development of intelligence-led policing are central to the EU’s approach to tackling organised crime. Europol’s intelligence reports and threat assessments are used as priority-setting tools for the Council’s working groups in defining what crime areas need to be urgently addressed. EMPACT is a coordination platform for the EU Member States and institutions to implement operational law enforcement actions, supporting defined EU-level crime priorities from the policy cycle. Bringing together representatives from the Member States, EU agencies, public and private organisations, and third countries, it is multidisciplinary in nature. It is here that the crime priorities agreed by the Member State representatives of COSI are implemented by National EMPACT Coordinators (NECs). OCGs move large shipments of illicit drugs by sea, either on their own ships or using legitimate commercial vessels that carry cargo containers. Because of the large quantities that can be transported in this way, this mode of transport is becoming increasingly important. The European Agenda on Security (2015–20), the EU drugs strategy (2013–20) and the European Maritime Security Strategy seek to target maritime drug trafficking through intelligence sharing (Council of the European Union, 2012a, 2014b; European Commission, 2015b). Similarly, Eurosur is designed to enhance situational awareness and reaction capabilities at the EU’s external borders. National Coordination Centres (NCCs) bring together national authorities responsible for border security in one team, sharing information with Member States and Frontex. Eurosur allows the intelligence resources and interception capabilities of EU Member States and Schengen countries to be used in a complementary way to interdict illicit drug smugglers (European Commission, 2014b). When bulk shipments of illicit drugs are interdicted, OCGs suffer heavy financial losses, so targeting these is important. The MAOC-N is an operational platform for Member States and third countries and agencies set up principally to tackle the transatlantic flow of cocaine from South America to Europe. It was established in 2007 by seven EU Member States (Ireland, Spain, France, Italy, the Netherlands, Portugal and the United Kingdom) and is funded by the European Commission. Its operation relies on the physical co-location of Member State liaison officers/experts from police and customs, and naval attachés, who are joined by the United States Drugs Enforcement Administration and the Joint Inter-Agency Task Force (SOUTH). This facilitates coordination, development and fusion of actionable intelligence and access to military and naval assets. The MAOC-N is further supported by, and collaborates with, a wide range of other EU and international agencies as well as other countries. This collaboration and intelligence sharing resulted in the seizure of more than 22 tonnes of cocaine and 63 tonnes of cannabis from a total of 29 successful interdictions between 1 October 2014 and 30 September 2015, with an estimated value of EUR 2 billion. The international nature of drug trafficking is illustrated by the fact that the 163 primary arrests made involved prisoners from 26 different countries. The importance of this high level of collaboration, a one-team approach, is illustrated by the fact that in 58 % of the interdictions, the Member State that made the intervention was different from that providing the primary intelligence. The growing reach of the MAOC-N is shown in recent seizures, in places ranging from Queensland, Australia (100 kg in June 2015), to the United Kingdom (3.2 tonnes in April 2015) (MAOC-N, 2015a,b). The Cocaine Route Programme focuses on capacity building in countries along the cocaine supply route, establishing links between countries in West Africa, South America and the Caribbean. The programme seeks to support regional and transregional law enforcement and judicial cooperation in countries on the cocaine trafficking route. It does this through eight projects that address drug interdiction, targeting the proceeds of crime and enhancing information exchange (European Commission, 2015d). The programme commenced in 2009 and involves the European Commission collaborating with a range of international partners. Through the Instrument contributing to Stability and Peace (IcSP), the Commission has contributed roughly EUR 50 million to the programme, supporting the implementation of projects in over 40 countries. Phase II of the ‘Fight against trafficking and organised crime on the Heroin Routes’ programme targets the trafficking of heroin from Afghanistan to Europe, which poses a range of shared security challenges for the EU and the countries on smuggling routes. With funding from the IcSP, the programme was established to counter the threat posed by OCGs. Through it the EU works in partnership with different organisations and governments impacted by the smuggling routes that pass through Afghanistan, Pakistan, the Central Asian countries, the Caucasus, the Black Sea Basin and the western Balkans. Its projects have focused on developing the capacity of regional agencies, implementing information systems, halting the flow of drugs and chemical precursors, developing Port Control Units (PCUs) and detecting drug trafficking (European Commission, 2014b). The Container Control Programme (CCP) is an example of a direct intervention again targeting maritime shipping. The CCP is a capacity-building joint initiative operated by the UNODC and the World Customs Organization (WCO). Currently 40 countries participate. Through the programme, PCUs are established close to container terminals. From its establishment in 2004 up to 2014 some 100 tonnes of cocaine, almost 3 tonnes of heroin, 60 tons of cannabis and 1 275 tons of precursor chemicals were seized by PCUs. In 2014, some 19 428 kg of cocaine (67 seizures), 466 kg of heroin (15 seizures), 4 593 kg of cannabis (30 seizures) and 34 000 litres of precursor chemicals (two seizures) were seized (UNODC and WCO, 2015). The operation of modern border controls lies at the heart of maintaining reliable trade routes and safe and secure societies. The Border Management Programme in Central Asia contributes to the security of Central Asian countries (Kazakhstan, Kyrgyzstan, Tajikistan, Turkmenistan and Uzbekistan). It implements integrated border management, enhancing the management of the movement of people and goods at border crossing points and developing the capacity of border agencies. The programme receives funding though the EU’s Development and Cooperation Instrument (DCI) and was allocated EUR 33.6 million between 2003 and 2014. Phase 9 of the programme, between 2014 and 2017, has a contribution of EUR 5.5 million from the EU and a consortium of EU Member States (EEAS, 2014; European Commission, 2015e). Globally, amphetamine-type stimulants (ATS) are, after cannabis, the second most consumed illicit drugs, and the market for them is interlinked with the use of NPS. One response to the rapidly changing marketplace for these drugs is UNODC’s ‘Global Synthetics Monitoring: Analyses, Reporting and Trends’ (SMART) programme. It is focused on capacity building in East and South-East Asia, the Pacific, the Near and Middle East, Latin America and Africa. It seeks to build capacity though the provision of technical support to Member States to help them collect and manage data on synthetic drugs, such as information from law enforcement. The programme aims to increase understanding of drug problems by reporting and providing early warning on emerging data. It also supports the development of evidence-based drug policies by developing policy-relevant information (UNODC, 2014f,g). Drug precursors, chemicals needed to manufacture illicit drugs, have primarily large and varied legitimate uses such as in the production of plastics, medicinal products, cosmetics, detergents and aromas. Because many uses are legitimate, trade in drug precursors cannot be prohibited but, instead, their licit trade needs to be monitored to ensure they are not ‘diverted’ to illicit uses. Preventing the diversion of drug precursors can be an effective and efficient way of limiting the supply of illegal drugs and is therefore an important part of the EU drugs strategy. Regulation (EC) No 273/2004, on trade in drug precursors within the EU, amended by Regulation (EU) No 1258/2013. The amendments to both regulations in 2013 significantly strengthened powers to control the export of medicinal products containing ephedrine or pseudoephedrine (precursors for methamphetamine), and the use of acetic anhydride (precursor for heroin) in the EU and the use of so-called ‘non-scheduled substances’ in illegal drug manufacture. Additionally, it is now possible to react more quickly to new diversion trends and add new chemicals to the lists of scheduled substances through a fast-track procedure. Seizures and stopped shipments of drug precursors are useful indicators of the scale and type of illegal drug manufacture. For instance, during the period 2012–13 the seizures of PMK (a precursor for ecstasy) increased significantly, suggesting that the illegal manufacture of ecstasy in the EU was increasing again after a period of lower production. The European Commission, the EU Member States and the EMCDDA are currently working on improving the data collection and analysis of seizures and stopped shipments of drug precursors, and the Database on Drug Precursors has been established for the collection and processing of statistics on seizures and stopped shipments on a quarterly basis. Factors that facilitate drug production and supply include the availability of money to buy drugs and pay those involved in the business, professional services to both help with the drug supply activities and to assist with laundering and concealing the proceeds of crime, as well as access to precursors and logistical support. Some of these facilitators are specific to drugs but others are similar to other crime areas and so are covered by wider programmes. In addition to the action by the EU and Member States to tackle the availability of chemical precursors used to manufacture illicit drugs (see box below), the INCB monitors the global trade in these substances and helps to foster collaboration. It operates several information systems in conjunction with national governments to facilitate transaction visibility, monitoring of importers and exporters, and the exchange of operational information (INCB, 2015a). Two on-going INCB projects function as platforms for monitoring licit trade, preventing diversions and launching time-bound operations. Project Cohesion targets chemicals used in the illicit manufacture of heroin (acetic anhydride) and cocaine (potassium permanganate), while Project Prism addresses chemicals used to produce amphetamine-type stimulants (phenylacetic acid, ephedrine and pseudoephedrine). Additionally, the INCB’s Project ION (International Operations on New Psychoactive Substances) is an international operational initiative to support national authorities’ efforts to prevent non-controlled new substances from reaching consumer markets. A specific focus is on synthetic substances with little or no known medical, scientific or industrial uses. Project ION activities are primarily engaged in the coordination, collection and communication of strategic and operational information related to suspicious shipments of, trafficking in, or manufacture or production of, new substances. Real-time communication of such incidents is shared using a secure online communication platform known as the Project ION Incident Communication System (INCB, 2015b). A directive on preventing financial systems being used for money laundering or terrorist financing, and a regulation on information accompanying fund transfers were adopted in 2015 (European Parliament and the Council of the European Union, 2015a,b). The European Commission works with different organisations to develop and implement anti-money laundering responses and is a member of the international Financial Action Task Force (FATF). Europol provides support to CARIN, which covers over 50 jurisdictions and includes EU Member States. It addresses all stages of the process of asset recovery including asset tracing, freezing and seizing, management, confiscation/forfeiture, and sharing (Europol, 2013). The Egmont Group of Financial Investigation Units is a world-wide entity whose aim is to facilitate the enquiries of inter-financial investigation units across borders. It provides a forum for national financial intelligence units and their cooperation, particularly in the areas of information exchange, training and the sharing of expertise. Presently the Group comprises 151 member financial intelligence units. Factors that enable drug supply are often social factors that require a local response. Hence, many of the interventions tackling these are local in nature. At the EU and international levels, as is the case for direct interventions, the focus is on sharing best practice, coordination and intelligence sharing. The overlap between drug trafficking and human trafficking and exploitation, which itself overlaps with illegal immigration issues, is discussed in Chapter 1. The wider efforts to tackle illegal immigration are therefore of relevance to drug control efforts. Each Member State is represented in non-Member States by an immigration liaison officer (ILO), who facilitates the measures taken by the EU to combat illegal immigration and maintains contacts with the authorities in the host country in order to improve exchanges of information concerning, inter alia, the routes followed by flows of immigrants and the existence of criminal organisations involved in the smuggling of immigrants. The network of the ILOs pools the actions taken by the officers and enables them to liaise with one another. A number of Member States also use multi-institutional approaches to combat human trafficking, whether for sexual or labour exploitation, as well as organised crime in general. Such approaches try to go beyond the boundaries of traditional criminal investigation by police and the judicial authorities, with administrative and law enforcement agencies working together and contributing their specialist knowledge and competences in combating and preventing crime (Bundeskriminalamt, 2012). The ‘multi-institutional approach’ is based on the so-called ‘barrier model’, which involves the identification of suitable agencies or areas where barriers can be set up to impede the activities of criminals. 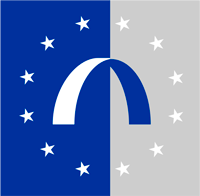 In the Netherlands, for example, such barriers are being established in the following areas: access (smuggling, border crossing); accommodation (prostitution precinct, illegal housing); identity (forged papers, forged social security documents); work (exploiters, violence, exploitation); and finance (money laundering, investments). This ‘barrier model’ aims to identify providers of illegal services as well as illegal activities at all five stages of the model. The model simultaneously relies on the training and on the intensive exchange of information between government agencies involved in the fight against human trafficking. Financial investigations also form an integral part of the model. Another concern in many countries is the rise of gang violence in disadvantaged communities, which is often linked to drug dealings at a number of different levels. The European Platform for Gang Expert Virtual Community is an exchange platform for national experts on motorcycle gang-related crime and current developments with relevance to the wider European network. A number of Member States have programmes that seek to prevent disadvantaged young people becoming involved in gangs, for example the ‘Ending Gang and Youth Violence’ programme in the United Kingdom (HM Government, 2015). The EU and its Member States are involved in many international actions with different organisations and countries. Both the EU drugs strategy (2013–20) and its action plan (2013–16) designate international cooperation as an important cross-cutting issue. The EU contributes to action against the production and trafficking of drugs through, for example, its financial support provided by the European Commission for the UNODC. Alternative development in countries impacted by the cultivation, production and trafficking of illicit drugs is a core part of international cooperation. Action 32 of the EU drugs action plan (2013–16) calls for alternative development to be integrated into EU programming and external assistance through projects in source and transit countries. The European Commission and the EEAS operate funding instruments that finance projects in different countries. For example, the EU is actively involved in helping Afghanistan recover from conflict and provides financial support through the DCI. In the 2014–20 Multi-annual Indicative Plan for Afghanistan, the level of indicated EU funding for the country amounts to EUR 1.4 billion (European Commission and European External Action Service, 2014a). Similarly, the EU supports alternative development in the countries where most cocaine is produced (Bolivia, Colombia and Peru), and in Latin America generally, through the European Union and the Community of Latin American and Caribbean States (EU-CELAC) Action Plan (2013–15) (Council of the European Union, 2013b, 2015c). Under the DCI, indicative financing for 2014–20 in the region is EUR 805 million for Latin America and EUR 120 million for subregional cooperation with Central America. Drug issues are, for example, part of the programming covering the Security-Development Nexus, with indicative funding of EUR 70 million (European Commission and European External Action Service, 2014b).